Designed by Beijing artist Law Sun-Yeung, SPACE WOODY was an astronaut addicted to food. Space Woody is a retired astronaut from Planet α . He has been living a comfortable retirement life and his appetite was getting bigger and bigger, but he is more satisfied with his present state than his previous life of self-restraint. But Planet a is a health-conscious society, and Woody feels more and more pressured from all the judgements around him, so he decided to take on a new space journey and sail his spaceship to the Planet E, where he thought he would be happier in the judgement-free society. Space Woody’s first destination upon reaching Planet E was none other than the city of HK. 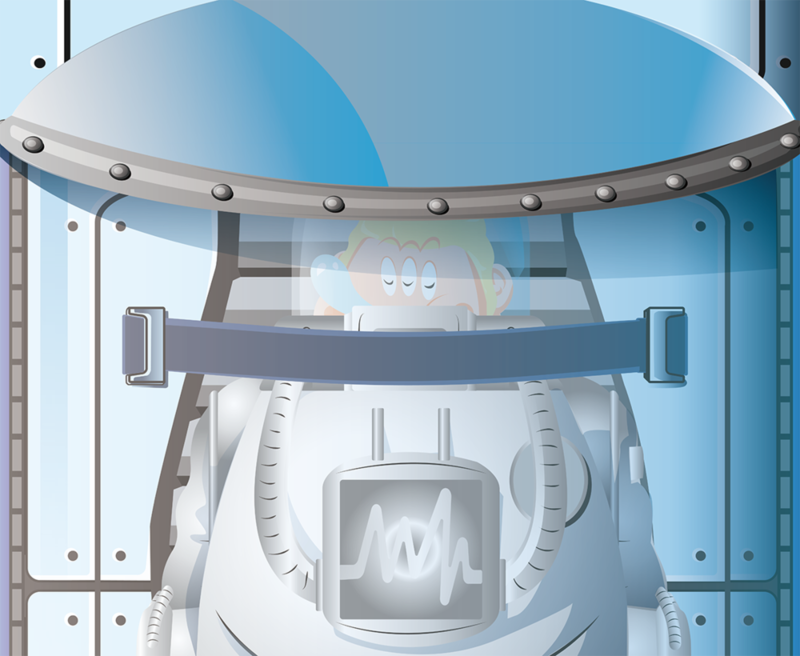 His pod was hidden behind the Milk Cargo, and he stuck out his head to see what the people of Planet E are wearing. 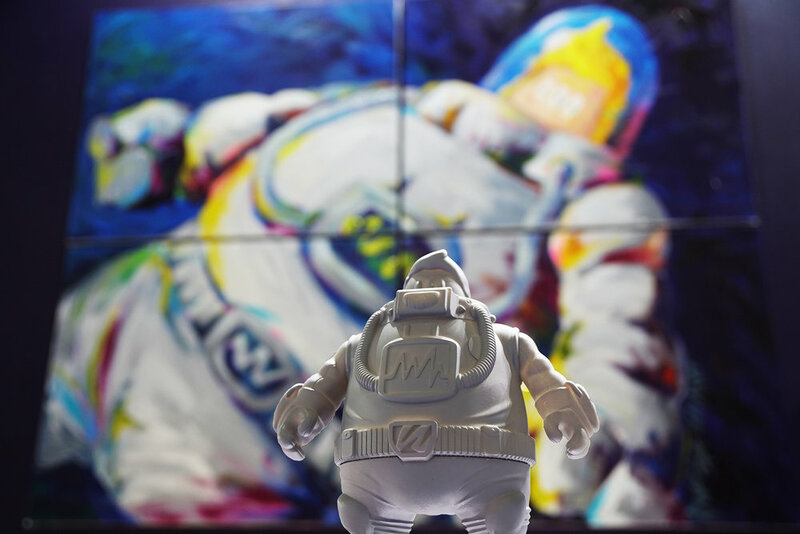 The sculpt of SPACE WOODY was first shown at adFunture Exhibition 2018 (Dec) in Shanghai. Law painted a 4-piece canvas at the event to match as well. We released a limited run from our first-pull of SPACE WOODY at TOYSOUL HK 2018. The teal sofubi glows in the dark, and gave collectors a first glimpse of the new character. Sold out over the weekend. Leading up to the first official colored edition of SPACE WOODY, Law Sun Yeung produced a micro-run of 10 pieces dubbed PURPLE GALAXY to be released at SOFUBI SHANGHAI FESTIVAL on Jan. 26th of 2019.